Striped Bass and bluefish are a very important part of the fishery in eastern Long Island Sound, and this is a beautiful fish that one of our clients caught on flyrod. Stripers of every size are great fun on fly and light tackle, and can be taken with a variety of techniques. Schoolie bass provide fast action, and typically show up in good numbers in May, with good fishing available throughout the season. Larger bass appear later in spring, and can be taken through the summer and fall months when available. Capt. 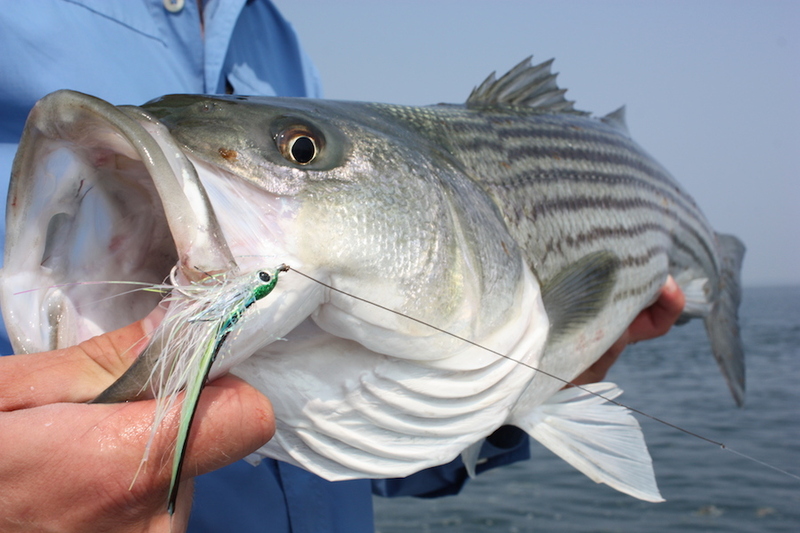 Randy can supply all of the necessary flies, lures, and tackle needed to catch the exciting striped bass. 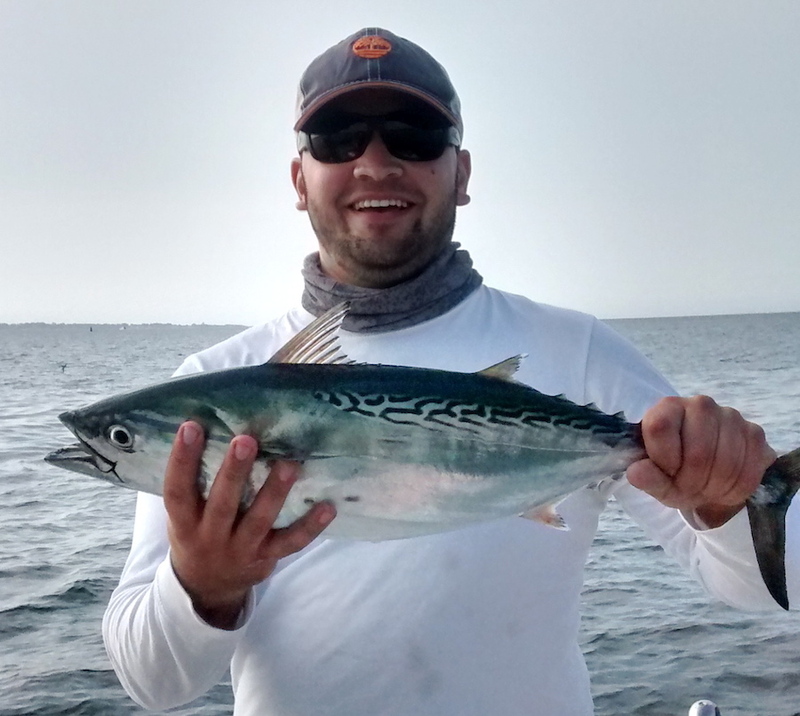 Eastern Long Island sound and the waters surrounding Fishers Island are teeming with exciting gamefish like the fly-caught false albacore shown below. The false albacore fishing has been great in the past few years, and this year promises to be another one. Fall is the best time for anglers seeking the fast-running false albacore. Flies that imitate the available baitfish and small lures produce well on these fish. Capt. Randy Jacobson loves to chase the albies - we think you will too! Bluefish provide some of the most exciting topwater action of the year with fish taking flyrod poppers and topwater plugs of every description. If you enjoy the thrill of watching fish hammer topwater lures, give Capt. Randy Jacobson a call now to inquire about a trip for bluefish. Summer and fall are often the best times to find blues feeding actively in Long Island Sound, but the action can heat up in some locales at a variety of times. Long Island Sound has seen good runs of baby bunker (immature menhaden) in the past few years, and this has provided some hot action for a variety of gamefish. When false albacore, blues, or stripers find the schools of baby bunker, the water literally erupts in a frenzy of feeding fish. When it does, you'll want to be there! Other exciting gamefish in Long Island Sound include Atlantic Bonito and Weakfish, a species which is currently enjoying a rebound in abundance. No telling how long the weakfish will be around, so book a charter this year and enjoy fishing for these beautiful fish! If you'd like to learn more, please e-mail Captain Randy Jacobson now to inquire about available dates for booking your trip this year, or visit our trips page for more details. 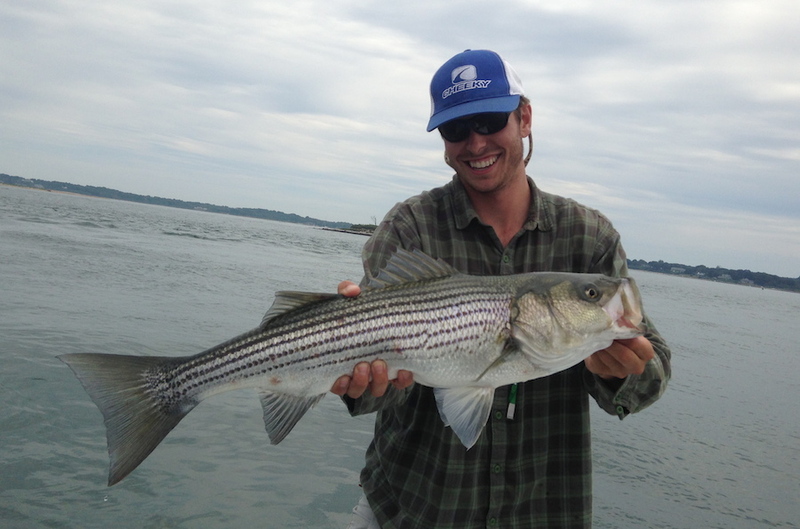 The fishing in Eastern Long Island Sound continues to be excellent, and we hope that you'll join Capt. Randy Jacobson on the water this year and be a part of the action! Please call or e-mail at anytime with your questions. Thanks for stopping by to check out our photos!